Any story that the Ego creates is usually really unpleasant and definitely not reliable. The Ego has an inadequate and faulty perspective on the way it views just about everything. Unless it has been convincing you that you are grandiose. You, above everyone else, is superior in your judgments, your thinking, your concepts and your theories… If you believe this is the case, these traits are very harmful and damaging, not only to you but to the people in your life as well. 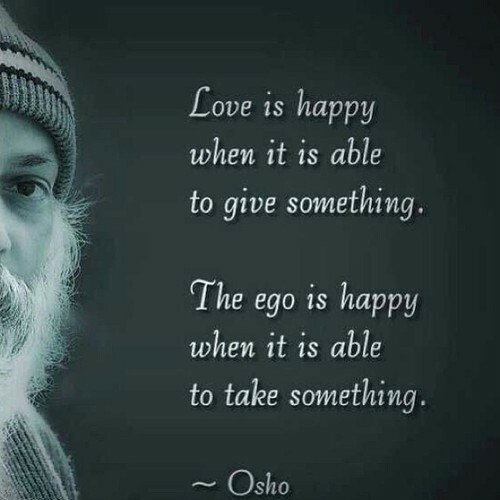 The Ego plays a detrimental part in our everyday life from the moment we open our eyes at the crack of dawn until the time we close them again at bedtime. Our mind loves to wreak havoc on every part of our Being. The physical body can be plagued with illness because of what the Ego has convinced us for far too long is the truth about ourselves. Emotions are on high alert and even the drop of a pin might make us jump. Crying seems to be the theme of the day sometimes and no matter what we do, the tears just won’t stop. If it isn’t tears, then perhaps it is anger. It boils to the surface of our throat and we can’t hold back. The Ego can be a beast with an angry curse, so do not cross anyone who has that look in their eye. The eyes of an upset Ego alone can tell a really bad story. Spiritually we become disengaged, and there is no sense of anything that resides below the surface of who we are. Our Soul becomes lost and distant, and ignoring the whispers from deep inside of us becomes a disappointing habit. What can be done to make our life more peaceful, and what can we do to quiet our minds? The objective is to become aware, for awareness is everything. It empowers us in the face of the Ego. An objective mind is one that is not influenced by drama, which is our Ego’s greatest source of food. Our Ego will live with us until our last day on this earth, but there are many ways to tame it.